Every November at the Minas Gerais State Prison Complex in Brazil, the previous year’s Miss Trans Pageant winner awards the crown to the next. This past year, photographer Marcela Xavier was there to capture the sights and ceremonies surrounding this unique beauty pageant. Xavier, who is currently studying law and journalism, has always been fascinated with the penal system, how modern prisons are built, how security functions in them, and the underground rules that command the lives of inmates. 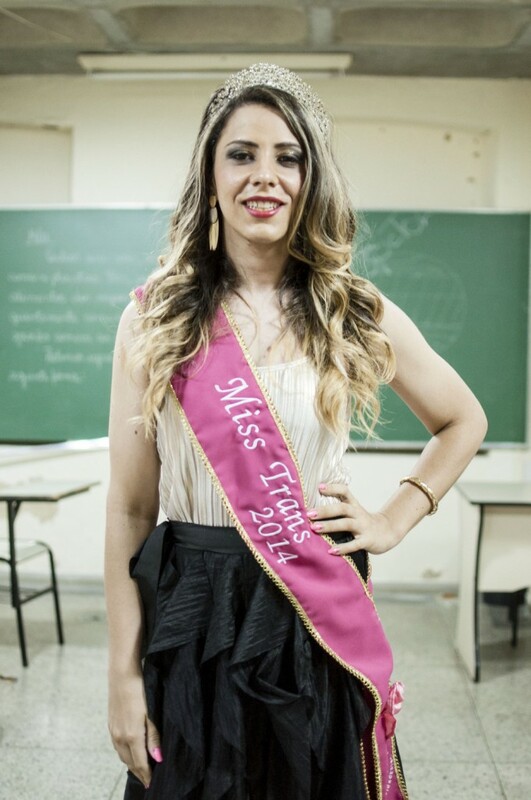 Upon hearing about the Miss Trans Pageant at the Minas Gerais State Prison from a friend, Xavier knew that her photographs would be able to show the event in a thought-provoking and fascinating perspective. The Miss Trans Pageant offers a humanizing form of rehabilitation for those inmates who don’t necessarily identify with their assigned gender. The event was developed as a way to improve the self-esteem of women serving sentences behind bars, allowing inmates an opportunity to don makeup and gowns to express their true identities. With the help from a team of professional stylists and makeup artists, pageant contestants are given a chance to imagine their lives after incarceration. March 5, 2015 in Events, News Stories.